I write this post as I am trying to emerge from my post-Thanksgiving food coma. I know I am not alone in having eaten and imbibed more than my fair share on this most American of holidays. This Thanksgiving I was particularly interested in pairing wines with different parts of the meal rather than finding the perfect wine to drink throughout. I also was reminded, as always, how lucky I am that today pairing wines was paramount on my mind rather than something more serious such as how to feed those I love and that so many people are without. On that note, remember that Tuesday is #GivingTuesday, support your favorite cause. Among the charities and non-profits I support are ones that work on hunger both abroad and in America, access to clean water, caring for the elderly and protecting animals. I firmly believe that all of those in the wine industry should be sensitive to the plight of those without even the basic staples of life, especially food which is so primary to our main industry – wine. In terms of my pairing skills, I think I was 70% successful. As a friend mentioned when we were discussing his pairings, the meal is so long that the timing is often off in terms of what you are drinking and how many wines to serve when. A big wine will need time to open and you may already finish the meal before getting to it or the bottles will be empty when there is too much time between hors d’oeuvres and dessert and people are at different points in their drinking. 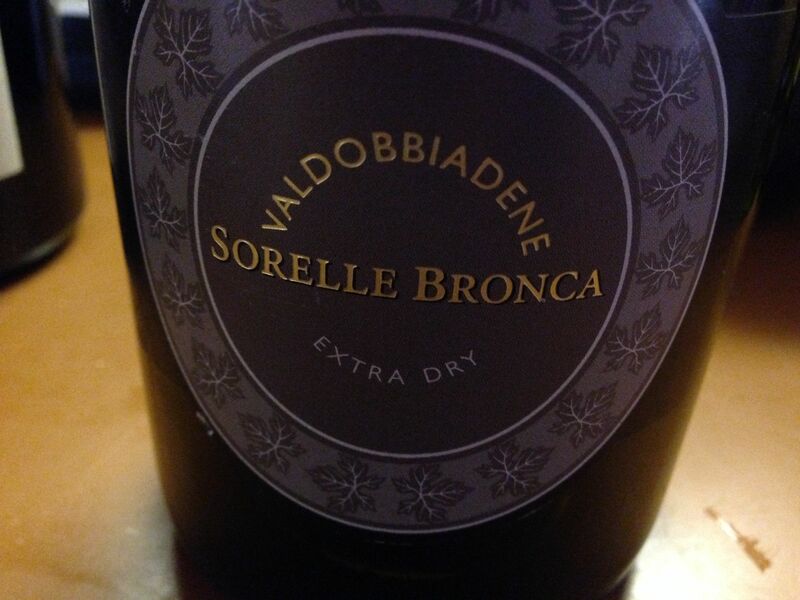 We started our family meal with a Prosecco from the Sorelle Branca winery, a Prosecco DOCG wine from Conegliano and Valdobbiadne. We had the Extra Dry Prosecco which has 13g of residual sugar. This hint of sweetness was a perfect foil for our cheese and small hotdogs (pigs in blankets), a family favorite – so 1970s. I love the fact that the winery is run by two sisters and one of their daughters. As most know, women in wine and specifically Italian women in wine are a big interest for me. As dinner progressed my uncle was looking for a red and my sister a white that wasn’t too heavy. 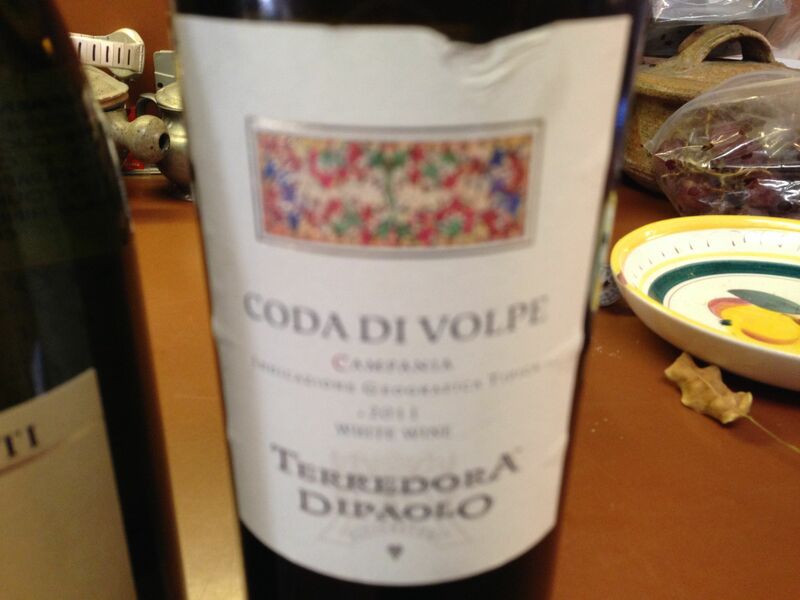 For the white, we had a Coda di Volpe from Terredora. I was thrilled to have an indigenous grape grace our table. Coda di Volpe is a well known grape in Campagna but is often blended rather than made into a mono-varietal wine. Italian indigenous varieties are another of my favorite topics. Coda di Volpe is a light to medium bodied wine with fresh fruit and floral notes. It was a nice match for the turkey and its contained alcohol level worked well with the sides too. We also ended up drinking a Chateauneuf-du-Pape which I thought was a tad too much for the Turkey. Had we also been having ham as we have in other years, it might have carried the day but nonetheless, the bottle was happily consumed. 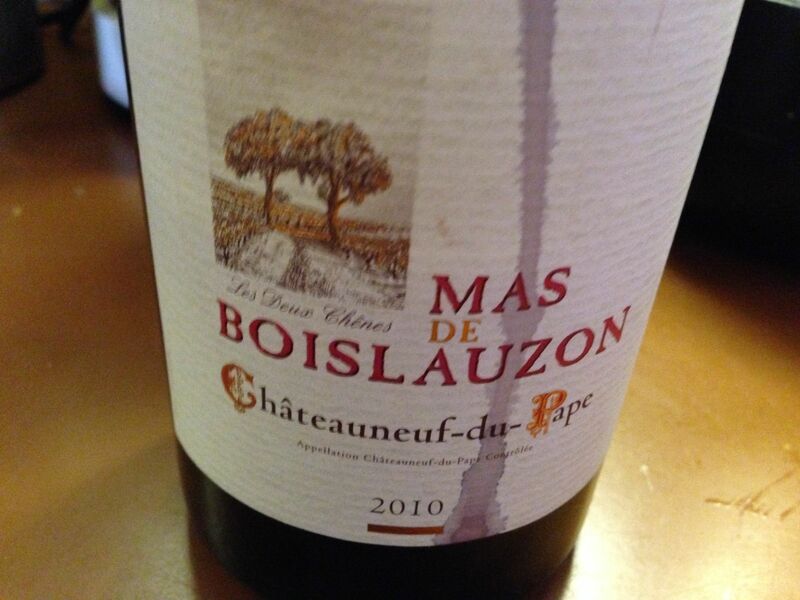 It was made from a a blend of 70% Grenache, 15% Syrah and 15% Mourvedre from old vines. The wine aged in concrete and older wooden barrels. Lots of spice, earth, herbs and pepper. I would love to try this with a steak. Perhaps the easiest pairing of the day however was the Moscato d’Asti we had for dessert. 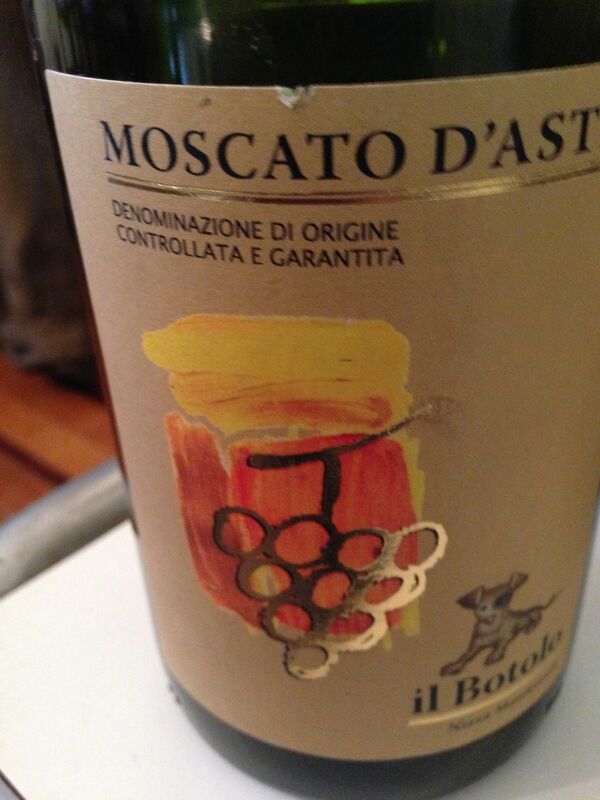 A delicious example of Moscato from the Botolo winery. It was light and refreshing while retaining much of the pleasure of Moscato it wasn’t cloying or overdone. I still believe however that on Thanskgiving, it’s all about the food and the wines while complementing the food, definitely took second chair for me on this American holdiday. I had been thinking about what to serve for a few days and reading and asking others what they were drinking. Friends in the trade noted that they were having Burgundy and Australian Shiraz. I never drink Shiraz but that did give me some ideas for the future. Others were doing the classic Pinot Noir or Beaujolais pairings while still others are drinking structured whites. I had hedged bets and offered a variety. Here are some articles by a couple of wine friends that I read prior to this Thanksgiving meal. Dave Buchanan from Colorado chimed in with this post, Meg Houston Maker with this one and David Ransom with this hardy list. What a wonderful tradition Thanksgiving is and I do love the feast my Mother prepares. 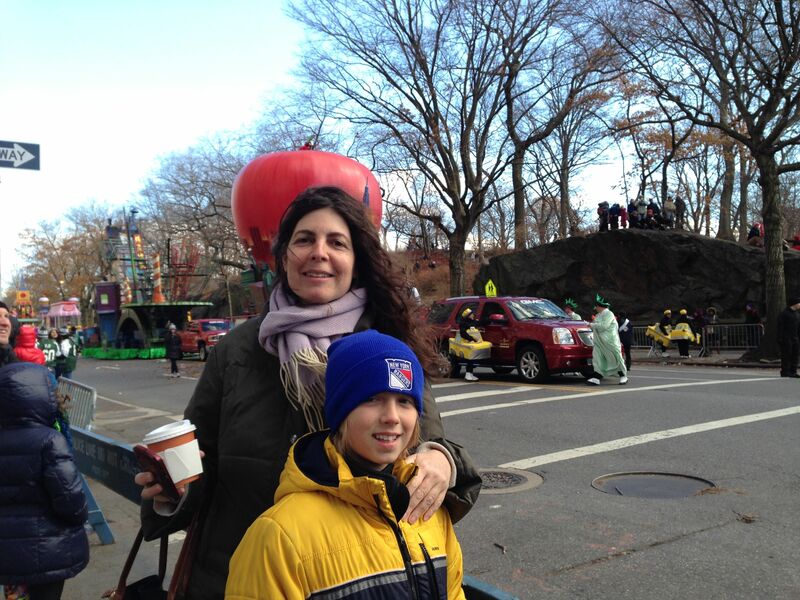 So lucky to be able to share this joy with family these years since moving home from Italy. When I lived there, I did celebrate Thanksgiving with friends every year but it just wasn’t the same. While they were and are people I love, it wasn’t sitting at my parents table with my sister, my niece and nephew, cousins, uncles, aunts, etc. While there are many things I love about Italy, spending Thanksgiving far away from the family was not among them. 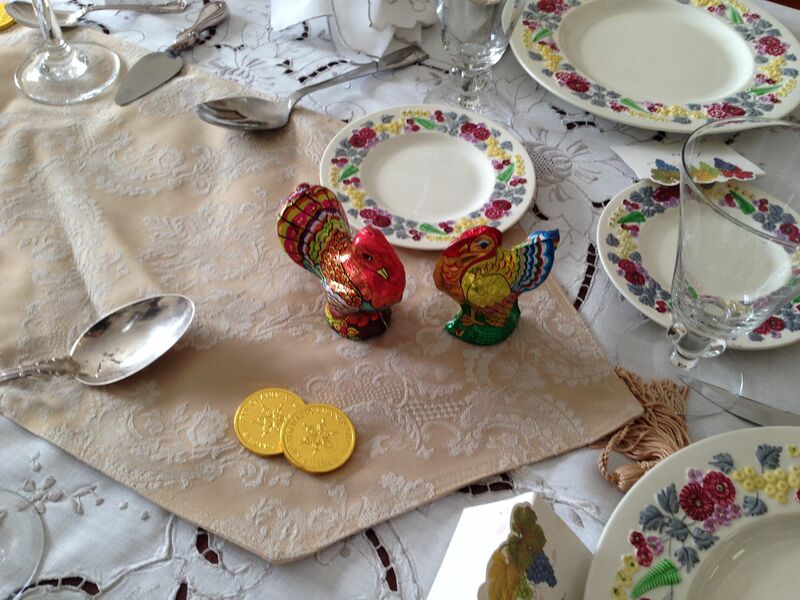 This article by Pamela Druckerman about living as an expat brought a smile to my face and I think Thanksgiving above all is the holiday that is difficult to spend in another land, although heaps of pumpkin ravioli instead of pie helped me through those years:). out here in Milan we put of our Thanksgiving meal until Sunday lunch time. 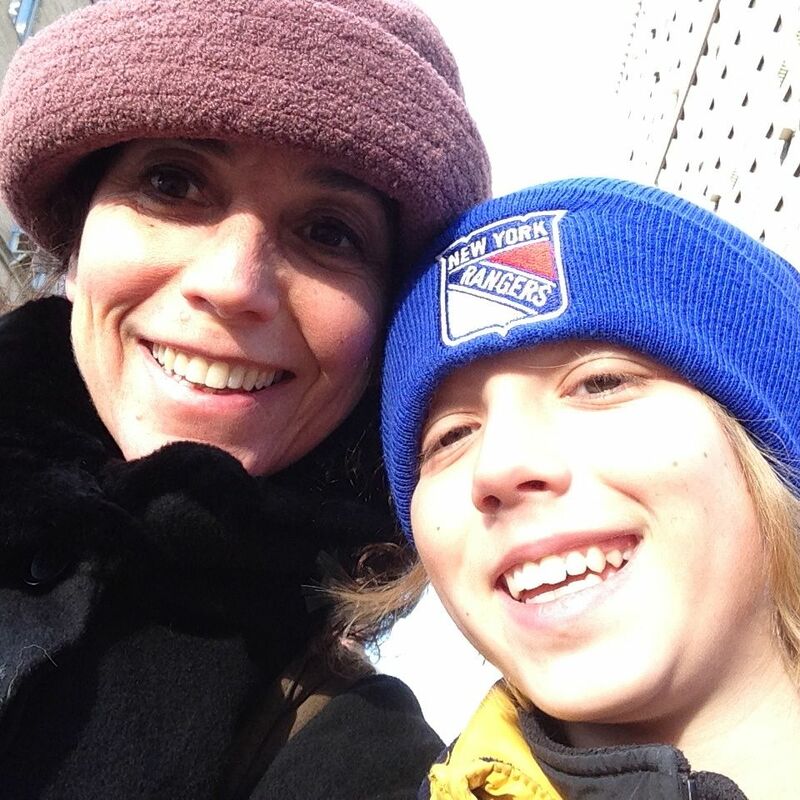 Thanksgiving in December…a first for me. wish you could come over and do the wine pairings for the meal. 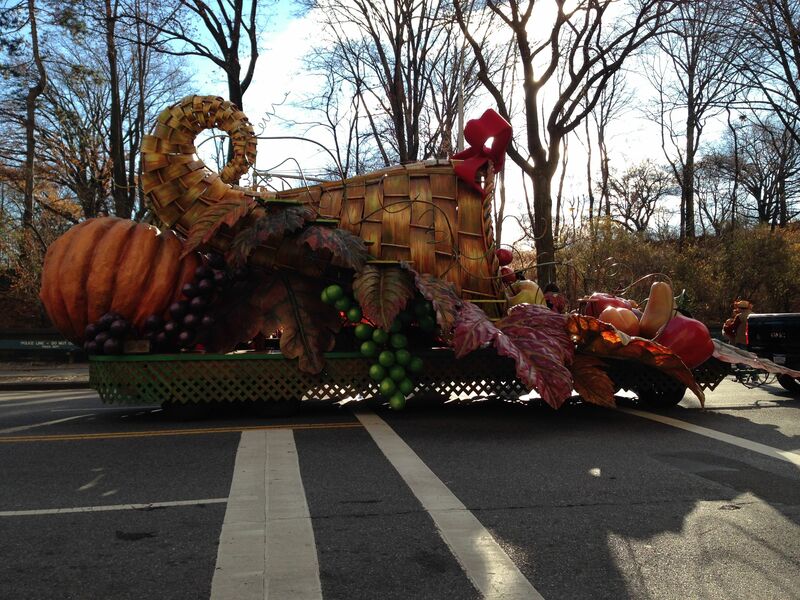 I certainly can concur that Thanksgiving in Italy is just not the same.